Nahum loves his greens. 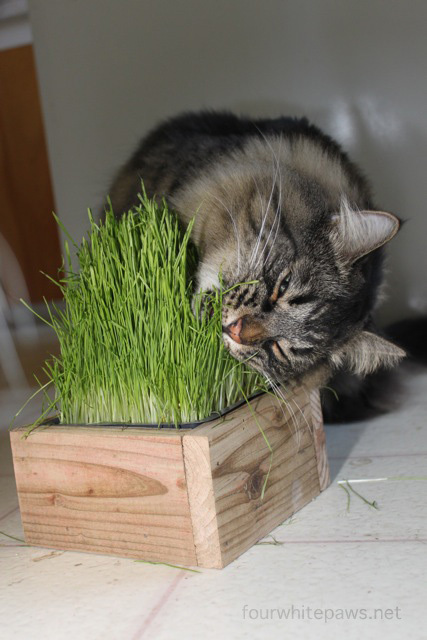 We try to have organic wheat grass available for them to enjoy and Nahum is the one who enjoys it the most. I look good with green! He does look good with Green! Handsome guy for sure! What a good lookin' little lion he is. Great photos. He dives into that stuff just like the retired-guy ambushes a hamburger. We don't get really good greens like that.! I'm kind of jealous. We love greens, too. We love all the freckles on Nahum's chin. My mommy has yet to get me some. This may encourage her. Nice chomping of the greens, Nahum! They do look very nommy. 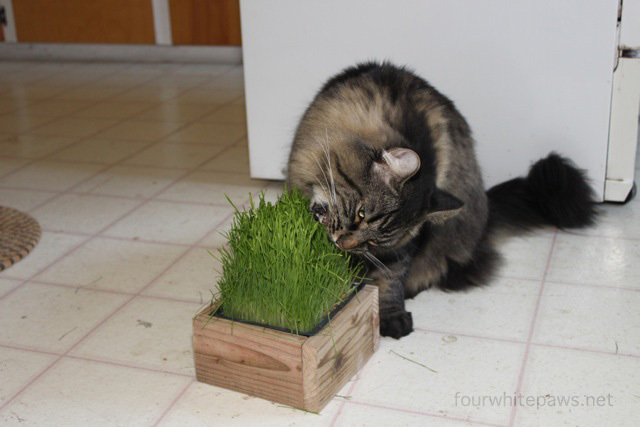 Mommy recently bought a box of cat grass but she has yet to plant them. We hope they grow! 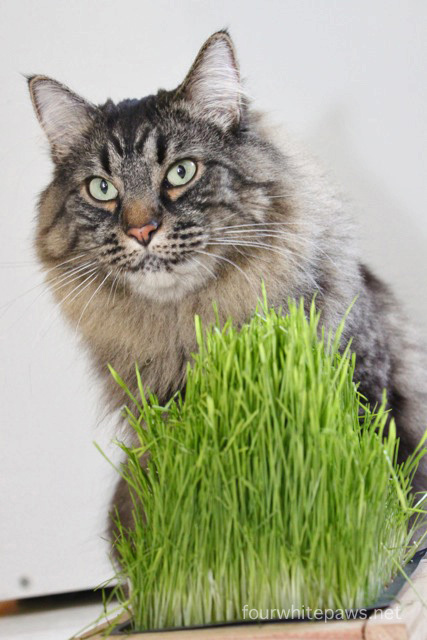 We found that cat greens produced undesirable results. For example, throwing up. No cat greens in our house. Brings out Nahum's eyes! 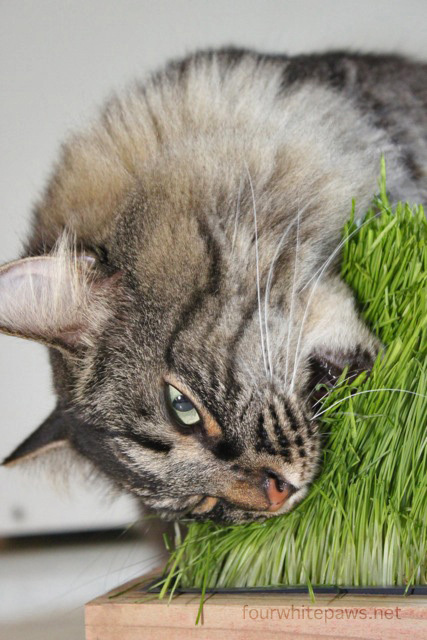 My cats are in love with grass too. I have 3 little patches in my patio stone yard for them to munch on - one each :) In the winter we buy the wheat grass because of snow. More beautiful photos of Nahum. With all the cats in your home, Nahum is lucky there is no competition for the greenies. 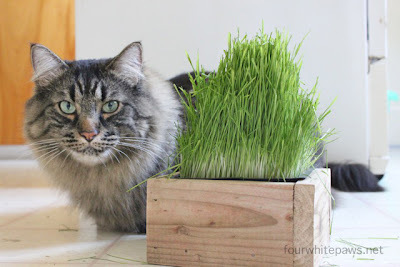 Motor loves his grasses. We call them grasses her. Tiger will only nibble on them to bother Mother. The few times I've tried to grow it my kitties destroy it before it can grow to any substantial amount and get dirt and debris all over my house.